6 Month Feed/MircoMax. Enriched With Miracle-Gro Plant Food For Stronger Healthier Plants. 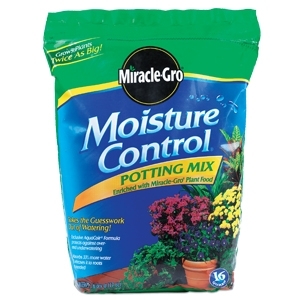 Contains AquaCoir, a unique blend of coconut fibers, sphagnum peat moss and a wetting agent, which absorbs 33 percent more water and releases it gradually as the plant needs it to prevent over and under watering. Takes the guesswork out of watering. Grows plants twice as big as regular potting mix.